A work of art regarding restoration is the project that we will visit today. 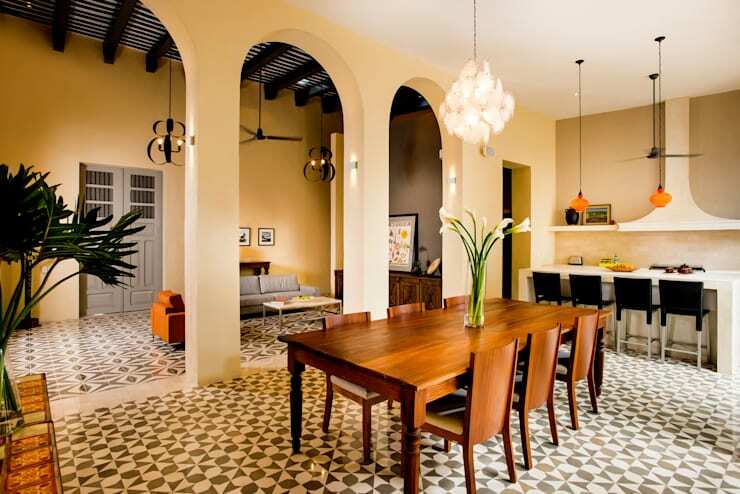 The architects of Taller Estilo faced a challenge while redesigning this house of colonial origin. It showcases a predominant style in its structure with neoclassical details which needed to be adapted according to current times. Its prerogative was to achieve a symbiosis between different periods and respecting its essence as a tribute to the past. The result is an exquisitely illuminated dwelling which is made of traditional materials and forms. 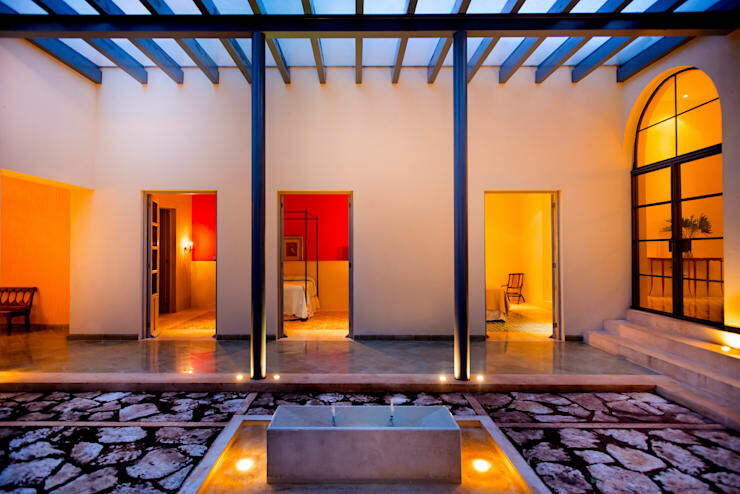 It has a light of modernity that evokes a subtle journey into the past while happily living the present. 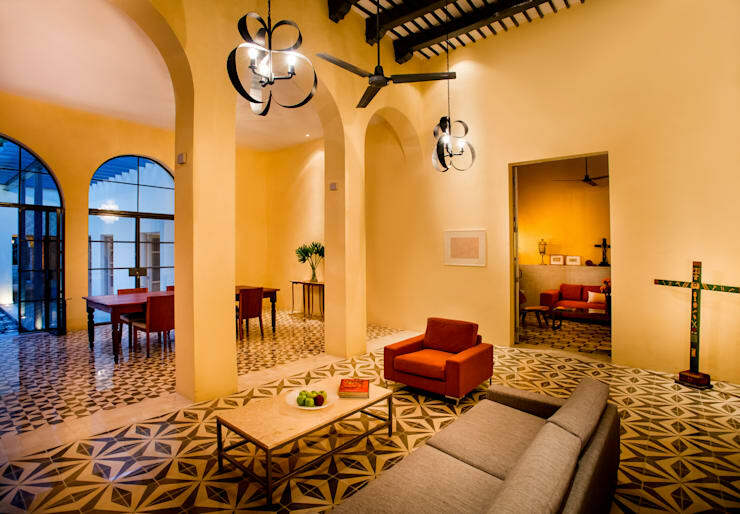 The use of neutral colors in the walls and skies is a canvas for the vigorous details of the floors and decorative elements. 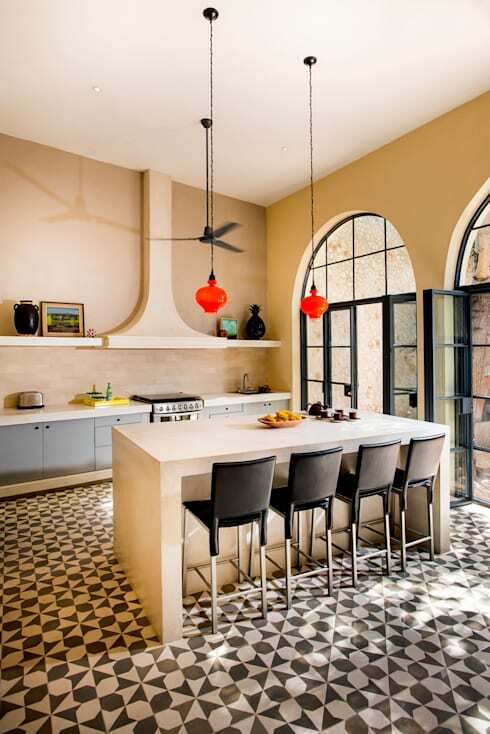 These include tiles, stylized iron lamps, large glass arches, and interior courtyards. Instead of creating a central entrance the designer of this house has shifted it to the side. 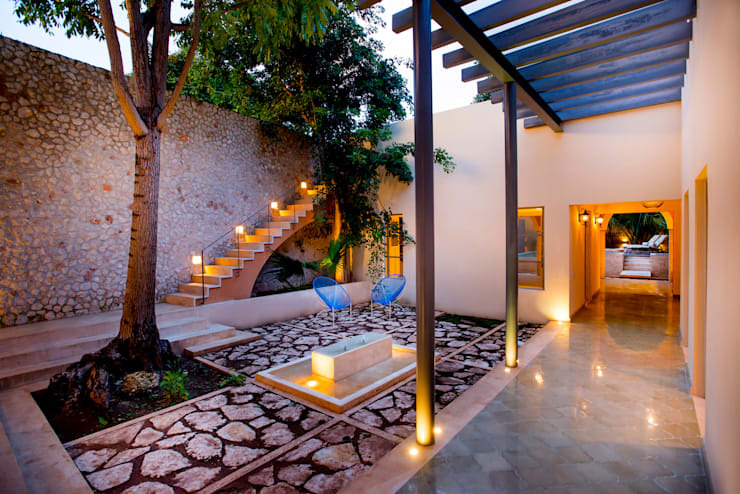 It gives them enough space to create a beautiful outdoor seating area along with a staircase to the roof. 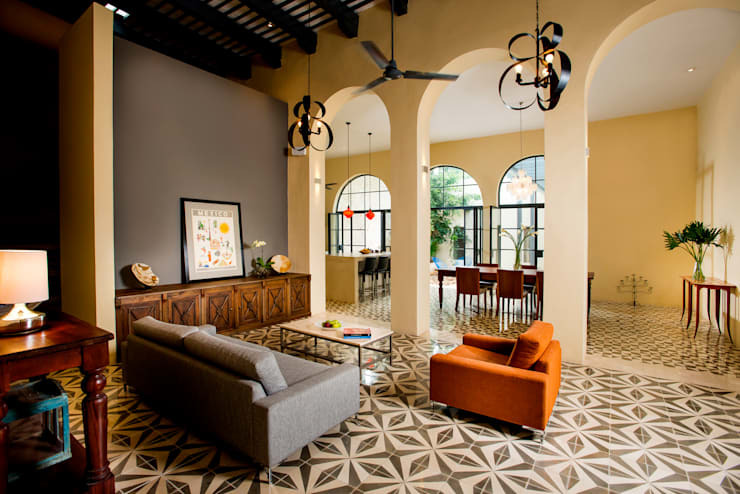 The living room was designed to showcase a fabulous tiled floor along with an open wooden beam ceiling. 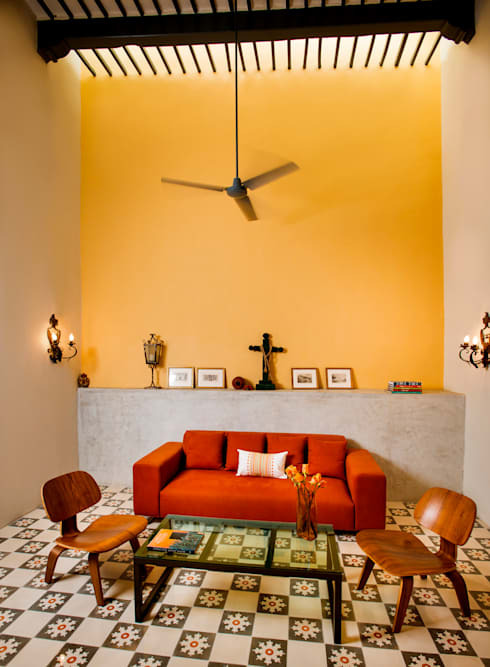 The furniture and accessories used within the room are kept subtle so that they do not overpower the design of the space. Having a spacious kitchen was one of the requirements of the owners. Here the designers have incorporated a large size kitchen island along with two massive glass doors. Just beside the kitchen is the location of the dining area. A wooden table of six completes the overall decor of this particular place. The dining room also has a few potted plants to add a touch of green. The house is based on an open concept which made dividing the space a little tricky. That is why the designers came up with arched pillars to mark the separate areas. 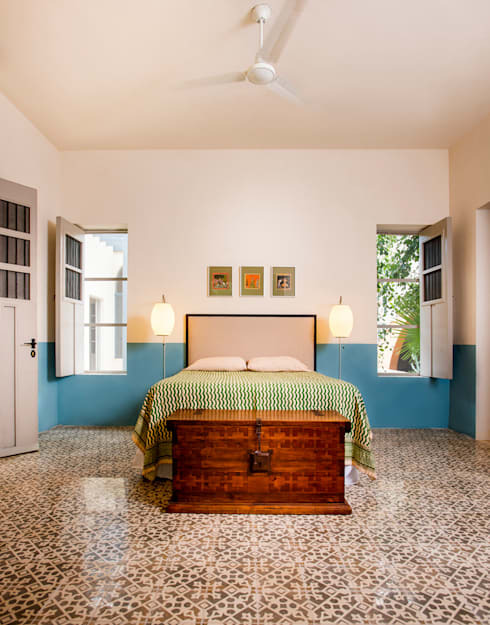 The master bedroom of the house was designed and decorated with a minimalistic approach. 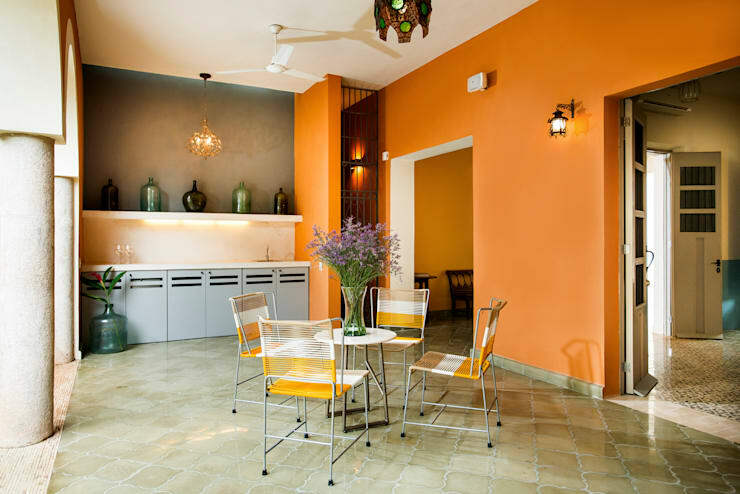 The highlight of the room is the outdoor view along with a beautiful contrast between the walls at the floor. Similar to the master bedroom the bathroom also has a beautiful view. 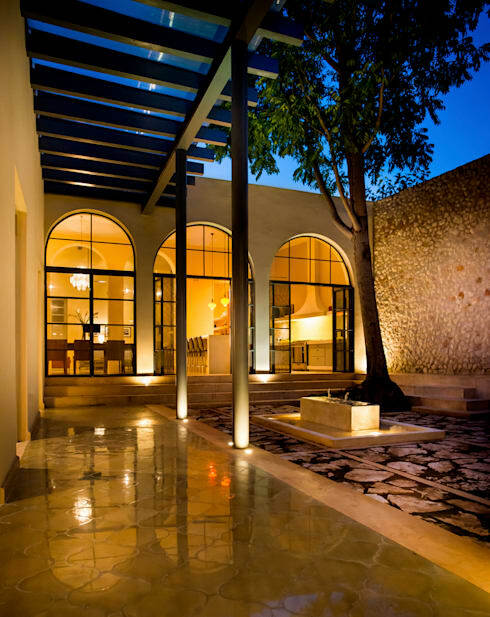 It has been designed using stone as the primary construction material to make the space look rustic. The outdoor deck of the residence has a small seating arrangement along with a convertible kitchen. It can be used for hosting parties or even spending some quiet moments along with the family. 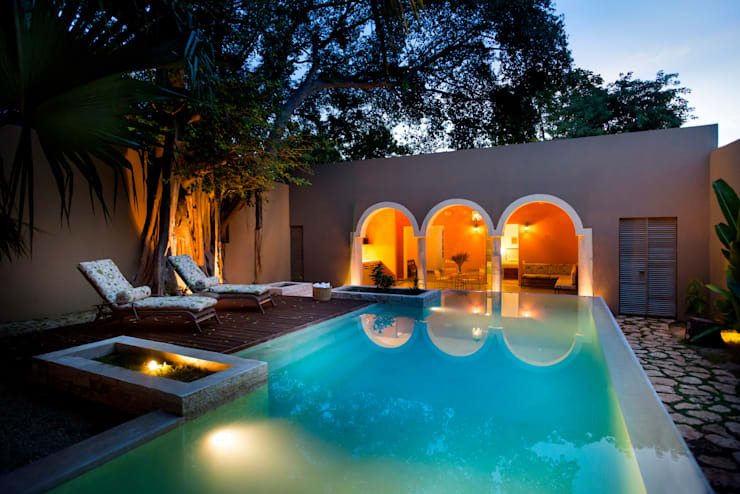 This beautiful and spacious house has enough area to incorporate a large size swimming pool. It is on the side and is accessible through the outdoor deck. For small gatherings or indulging in a reading session, a beautiful lounge has been created right next to the central living area. 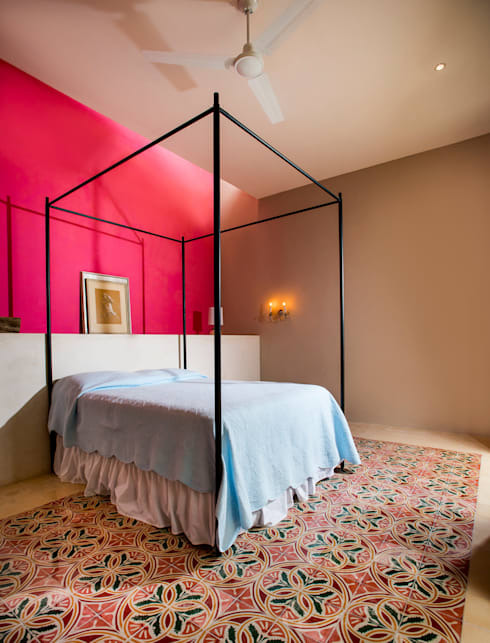 The first guest bedroom in the house has a classic four-poster bed along with a beautiful pink focal wall. 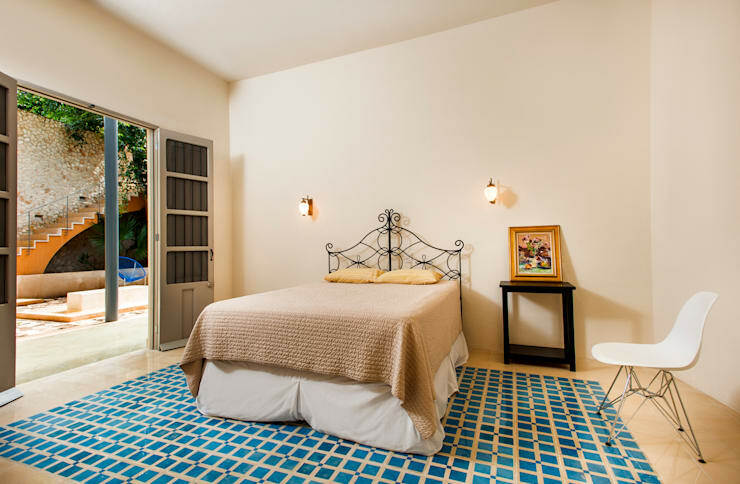 The second guest bedroom is smaller compared to all the other rooms but has enough space to accommodate two people. 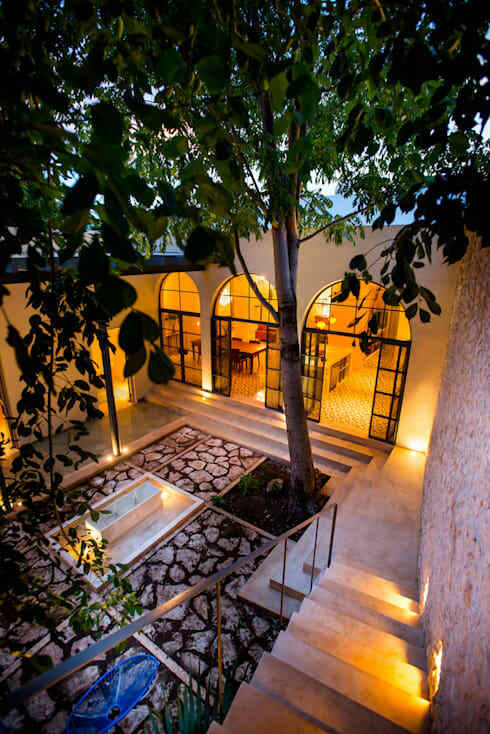 It is situated on the first floor of the house and has a beautiful balcony attached to itself. 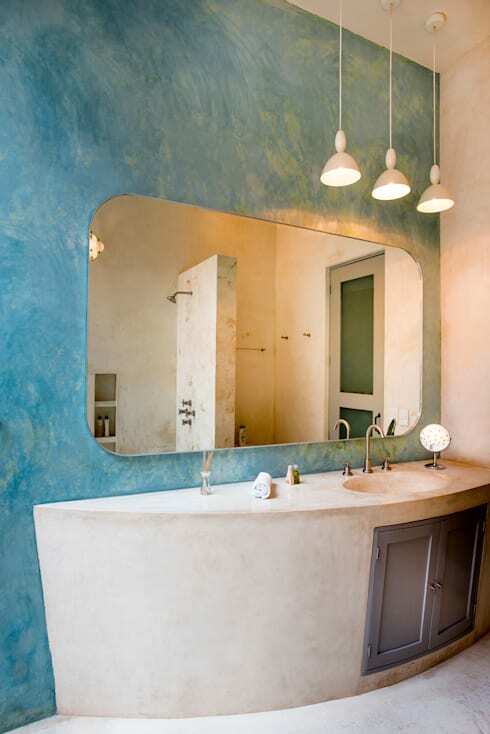 To give the space a custom look, the fixtures were designed using stone and cement. Further to add a touch of colour the wall was painted in powder blue. 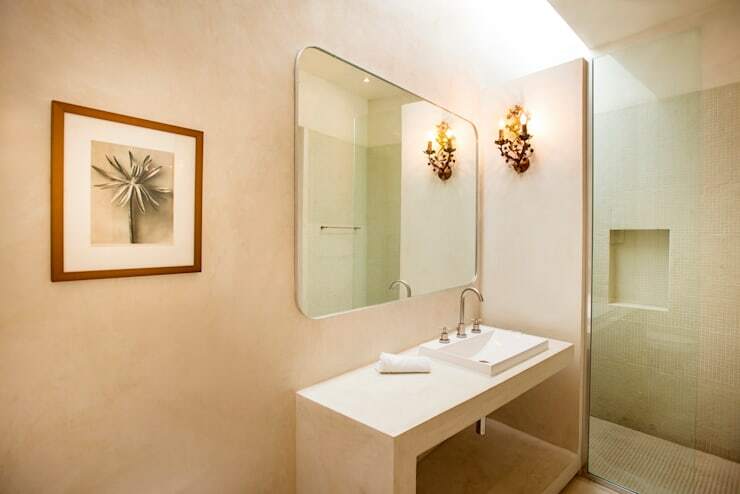 One of the main guest bathrooms has been designed with an entirely white interior. 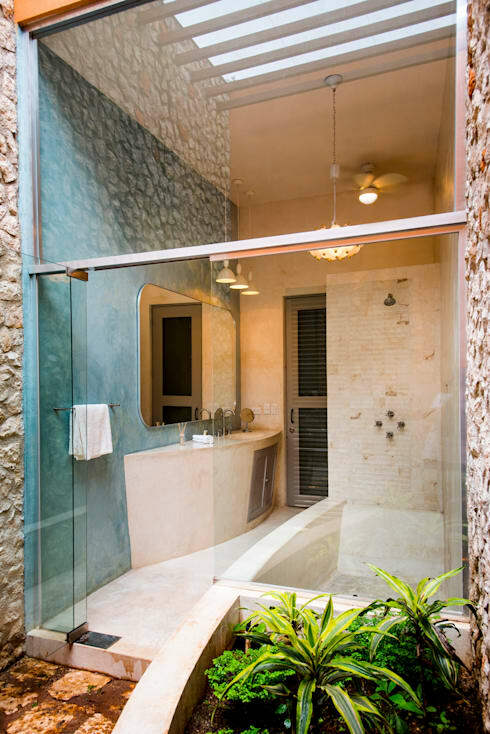 It houses a shower area partition with glass along with a full-size vanity. The back deck of the house is accessible through each room of the first floor. 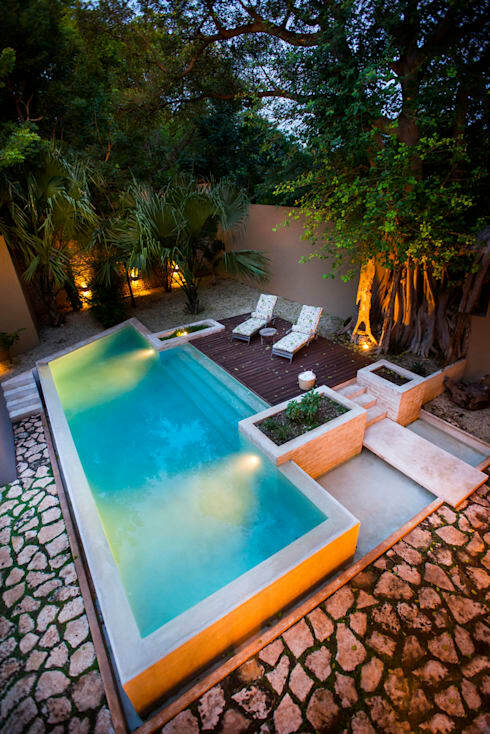 Apart from this it also showcases a beautiful water feature and natural stone floor. In this picture, we can see the night view of the backyard. The open beams that we saw inside also extend towards the outdoors giving it a bit of symmetry. The top view of the backyard showcases the exact location of the water fountain along with doors to the kitchen and dining room. At last, we finish this ideabook with a beautiful picture of the swimming pool and the small green patch created around the structure. Highlighters have been placed in each corner to get proper visibility at night. Which part of the house inspired you the most?